Happy New Year 2017! A brand new year had started. It a start of a blank new page and now we are given the opportunity to create another memorable year. 2016 had been a roller coaster year for me. End of 2015, I had enough of the hectic corporate world, and decided to take an extended career break. I started 2016 with a memorable holiday with my beloved girlfriends. It was amazing how, we flew in from different destination meeting each other in Osaka. Although the journey started dramatic for me where the airline wrongly tag my luggage hence my luggage only arrived in Osaka 5 days into my holiday. My girlfriends comprising of Korean, Thai and fella Malaysian entertained me throughout the stressful time of waiting for the luggage to arrive. The support they extended to me was truly touching. I am indeed blessed to have them in my life. Kudos to our lovely Thai girlfriend, she arranged for our first Japanese Ryokan experience. The joy and laughter of 6 girls of 3 different nationalities were a truly trilling experience. Some of us were very conservative, myself inclusive…. the shocked when we discover upon arrival at the Ryokan that it is a common shared bath…… read all about our Japanese Ryokan Experience @ Amami Onsen Nanten-en here…. Another memorable day we had was our exploration to my all time favorite place in Kyoto… Arashiyama (嵐山). Spending time with best friends creating wonderful memories… what more can one ask for! The months progress where I started my first C-Novel Translation that were made available on tinkerbellsan. My first translation, Caught in my Own Trap (作茧自缚) took me several months to complete. It was a truly amazing experience where I gain a lot of friends worldwide… readers and lovers of C-Novel but could only rely on English translations to enjoy the talent of these talented Chinese Novelist. My passion for C-Novel translations all started from reading the translation works of the wonderful team at Fanatical. And without the support of Suteki Da Ne and her mentioned on the start of our translation on tinkerbellsan, we would not be able to get the amount of readership so quickly. There were many more wonderful translators and readers out there whom had supported us throughout the year in which we were very thankful of. I decided to return to the corporate world, taking up a contract work of 3 months to help open a new 4 star local branding hotel here in Kuala Lumpur. A truly memorable experience where I gained some wonderful friendship with wonderful colleagues. I finished the 3 months contract and then took a month away from work where I went on a 15 days vacation to South Korea with my love ones. On this summer vacation, we arrived into Busan for several days exploring many different places of interest in Busan, my favorite being the popular Busan Gamcheon Culture Village (부산 감천문화마을), also known as the Santorini of South Korea. Not long after returning from South Korea, I went on another memorable short vacation with my colleagues to Bangkok. We did an amazing yet crazy 3 days 2 night shopping trip to Bangkok, creating wonderful memories together. A truly amazing and memorable 2016, to some extend, I am glad that the year is over. And I definitely looking forward to another memorable 2017 where I could create more memories with my love ones far and near. 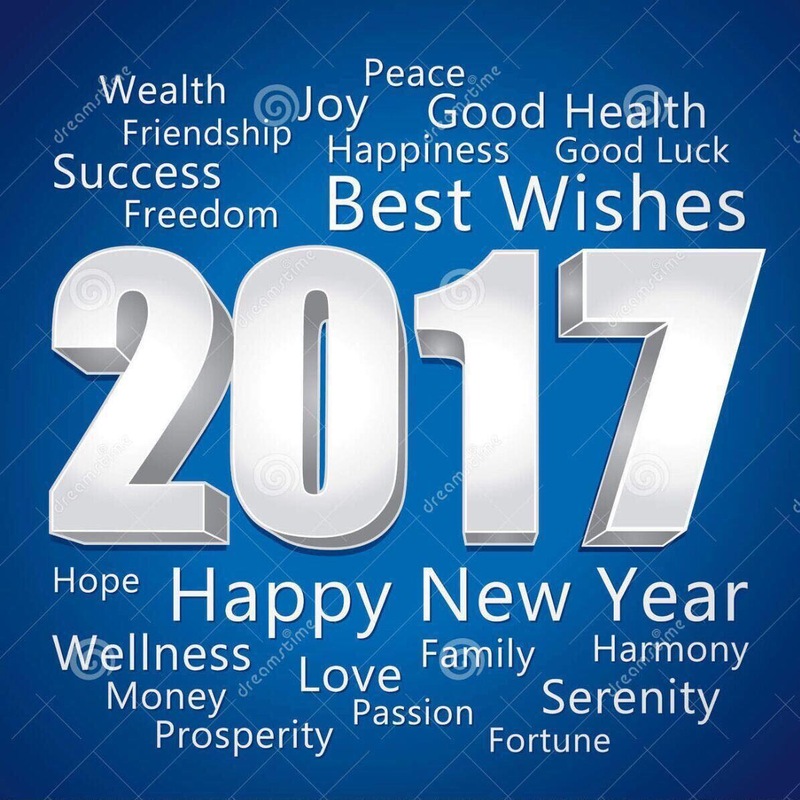 Here, wishing everyone a Blessed 2017! May the year ahead be a memorable and fantastic one to everyone! 10. We use pencil when we were young, but now we use pens. Do you know why? Because mistakes in childhood can easily be erased, unlike now. I wish you a happy new year! Prosper and smile. Have a great year ahead!